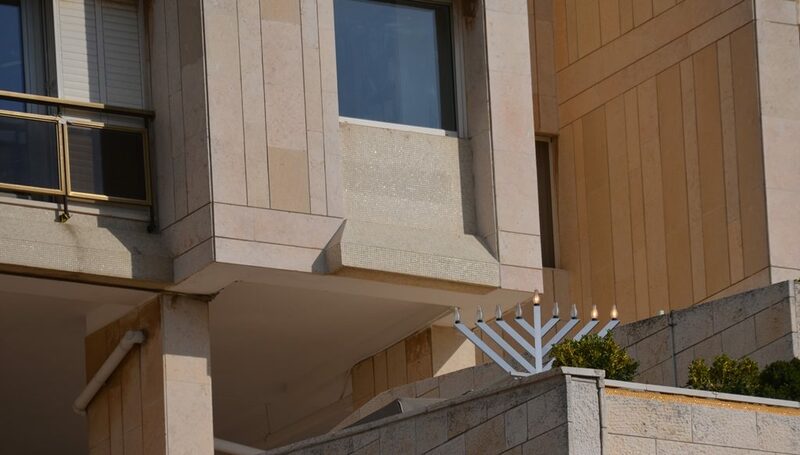 It’s the week before חנוכה and spellcheck has decided Hanukkah is the correct spelling in English. At least one thing should be easier this year, with that problem decided. 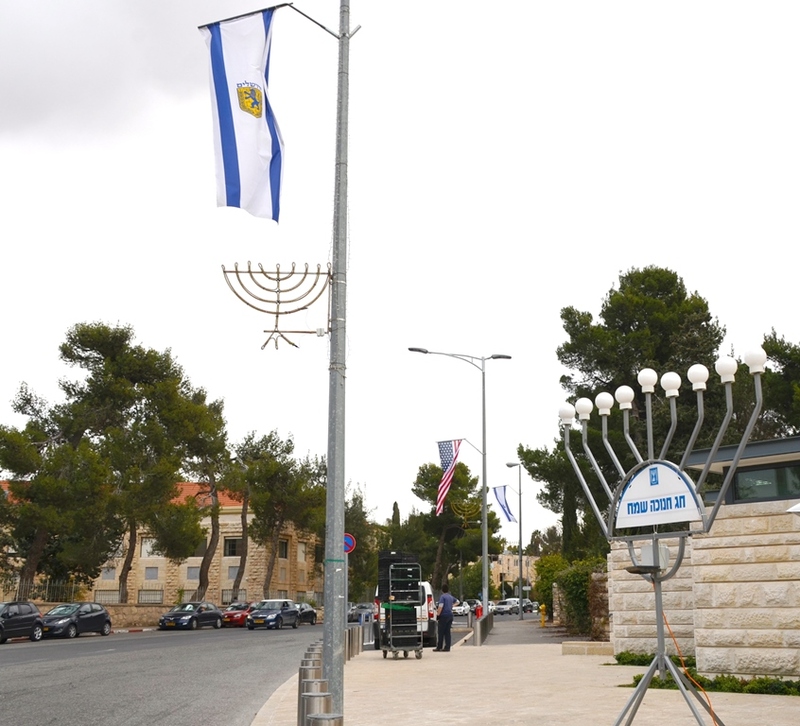 In Jerusalem, Israel, before we began preparing for Hanukkah, international visitors took priority. The President of Chad Idriss Deby dropped by for a quick visit. Seems it went well, as our Israeli PM is planning a trip to Chad soon to set up diplomatic relations which were severed in 1972. The President of Czech Republic Milos Zeman and his wife were here on a state visit. 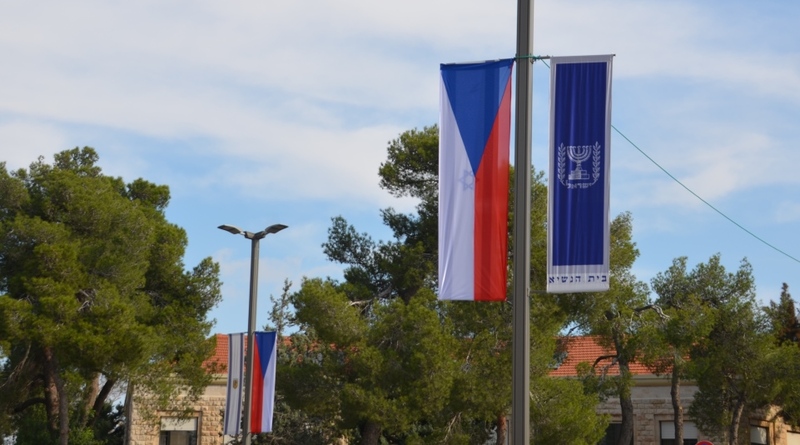 The Czech delegation got the presidential treatment with flags flying and state dinners and lunch. Zeman brought along a large entourage, making for long motorcades on the Jerusalem streets. 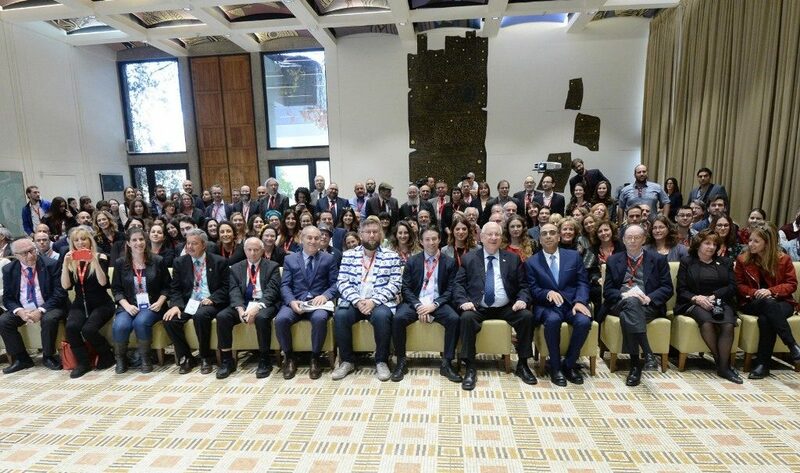 The third Jewish Media Summit was held in Jerusalem, with over 100 people coming to join us from 30 countries. It included days of intense sessions, listening, talking, travelling and eating. 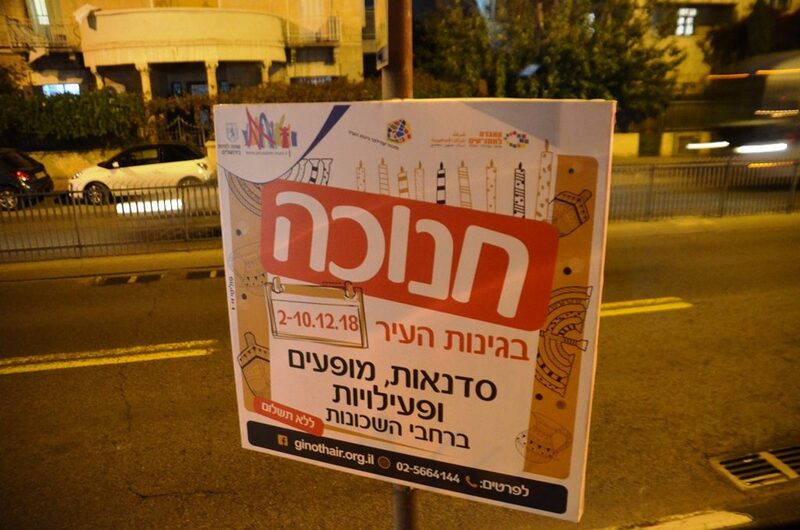 I found it interesting how new social media has been accepted and promoted along with conventional journalism, so very different from the past Jewish Media Summits. For a change I decided to sit at Beit Hanasi with President Rivlin and our group and use this GPO photo. 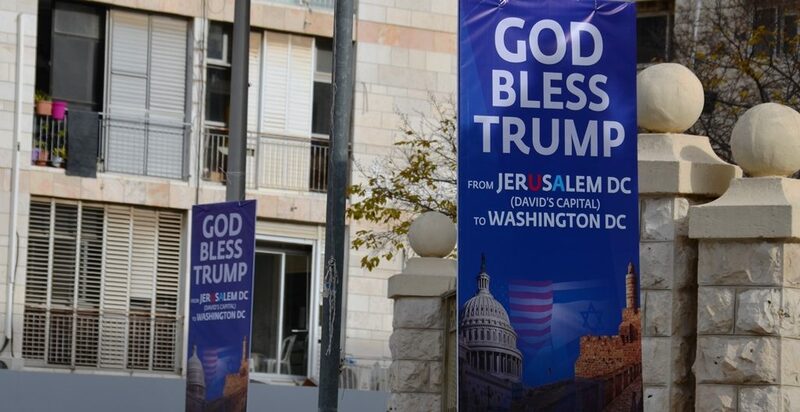 I am not sure how many in Jerusalem noticed those visitors. 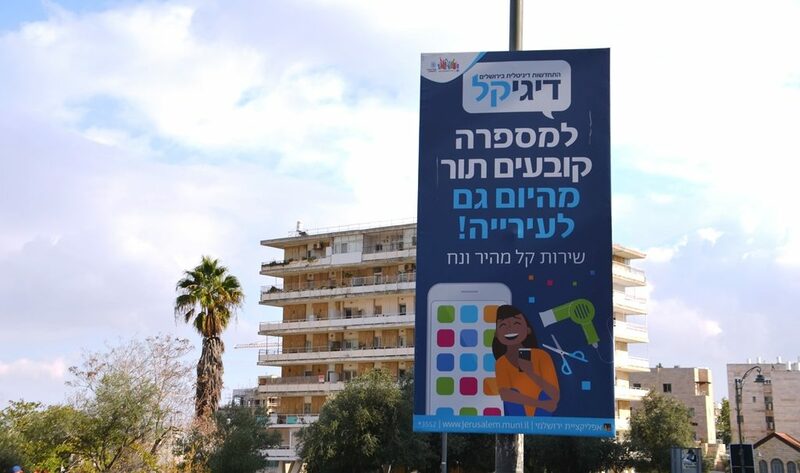 But as more of these signs have popped up, Jerusalem residents will notice the city is going digital. Quick and easy service, no standing in line for municipal services. Sounds good, we will have to see how that goes. 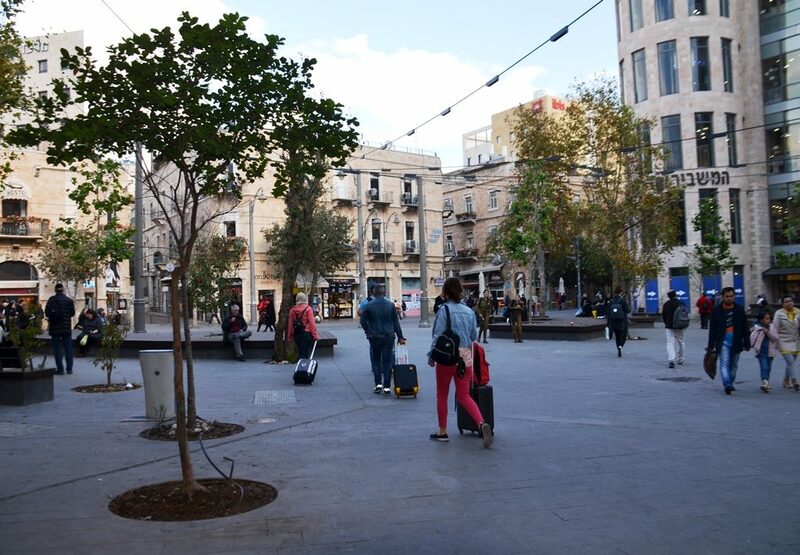 The renovation in Kikar Tzion, Zion Square, after being a construction site all summer, seems to have gone well. The copycat five shekel coffee and food place on Ben Yehuda Street seems not to be doing well. 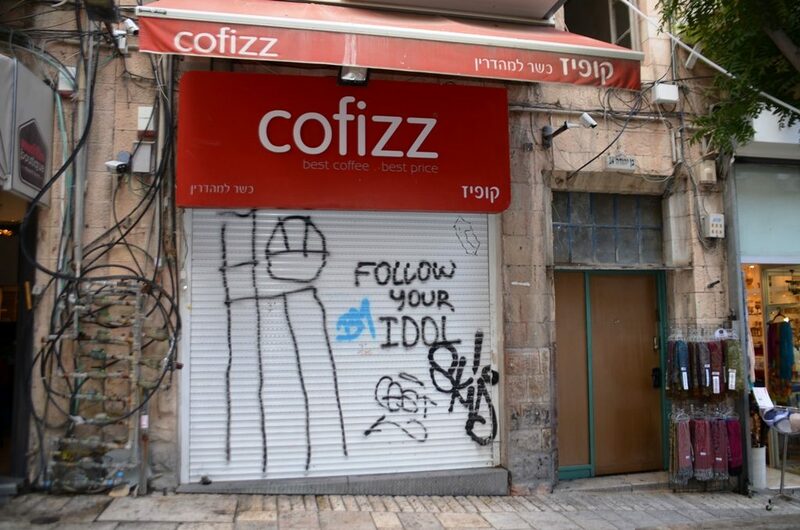 This one was closed midday, as the original 5 shekel Cofix announced joining with Rami Levy for future projects. 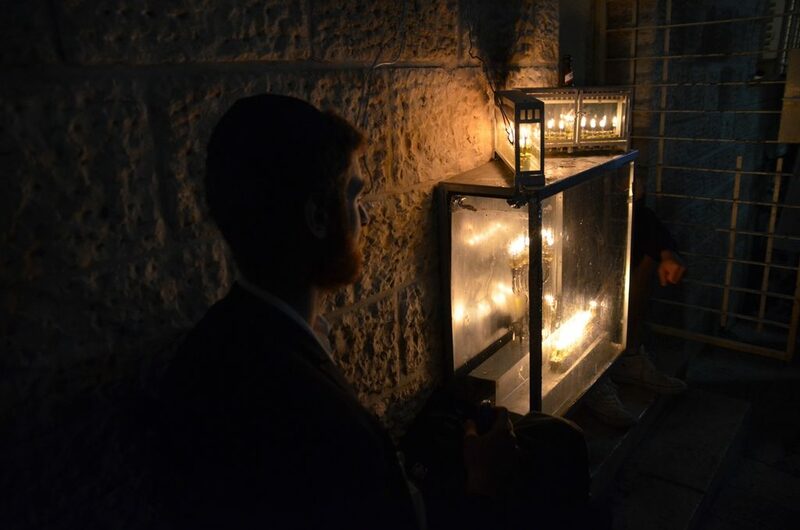 It was time to prepare for Hanukkah in Jerusalem. 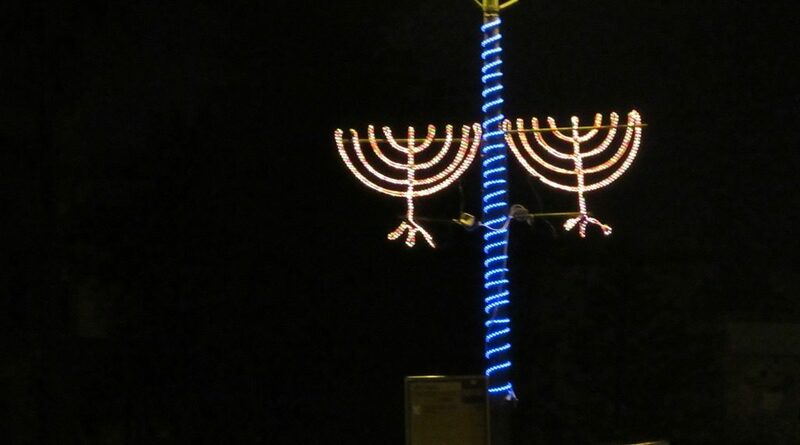 Thousands of big people were sitting on little chairs and watching hours of Hanukkah song and dance performances by young children. 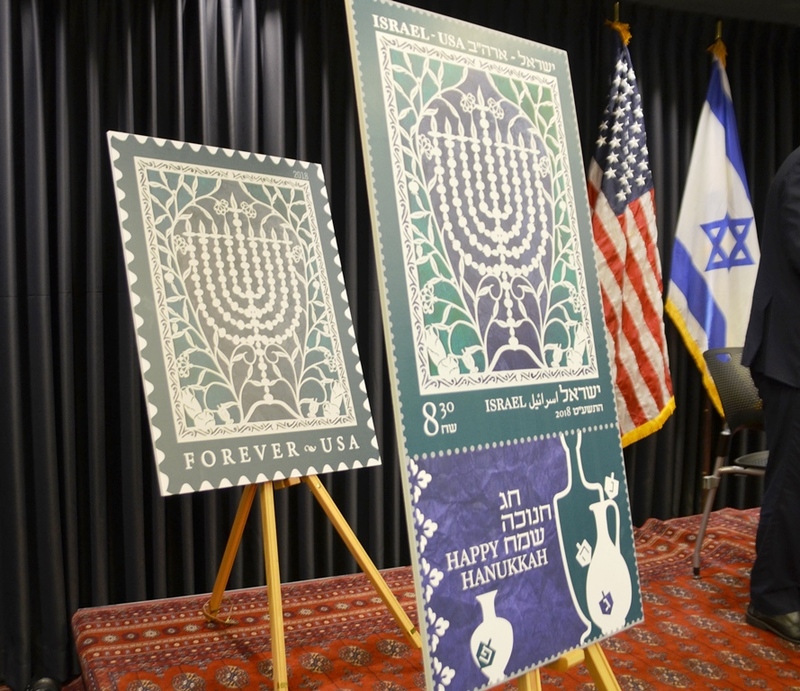 Did you get your Hanukkah stamps? 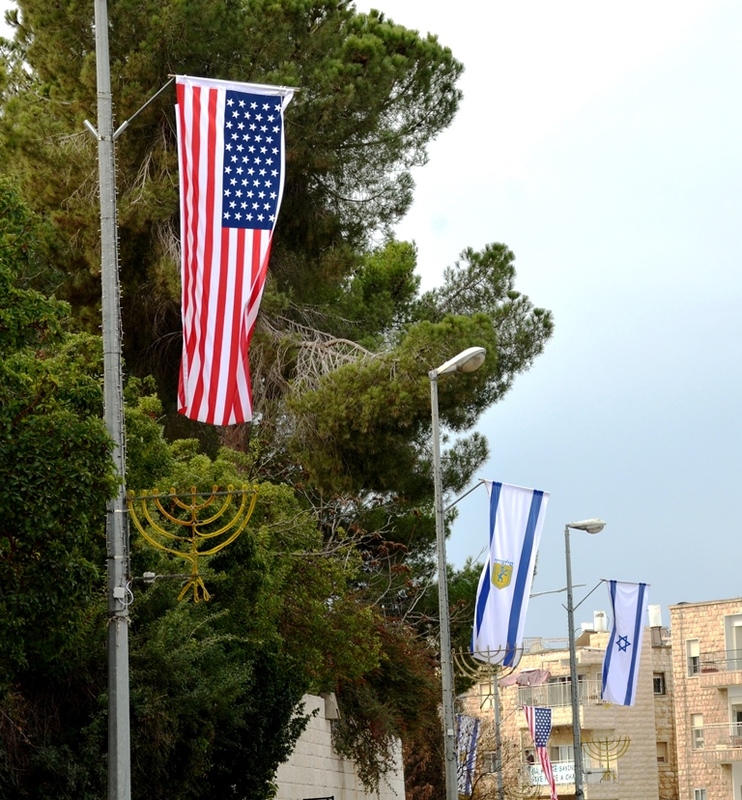 The Israel- US joint venture was launched earlier this month. 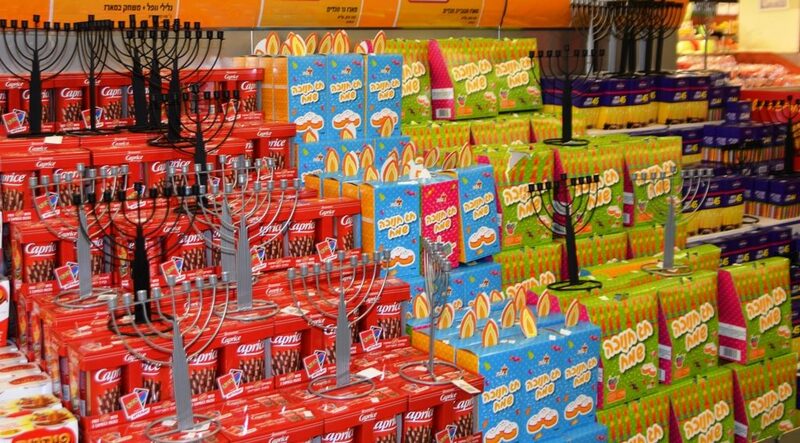 Jerusalem supermarkets have displays with hanukkiot, Hanukkah menorahs. 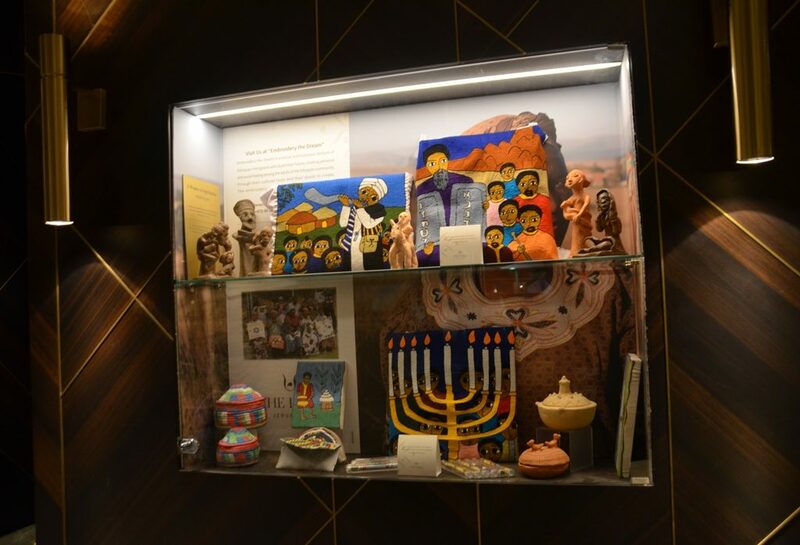 Shop windows are ready with Hanukkah gift suggestions. 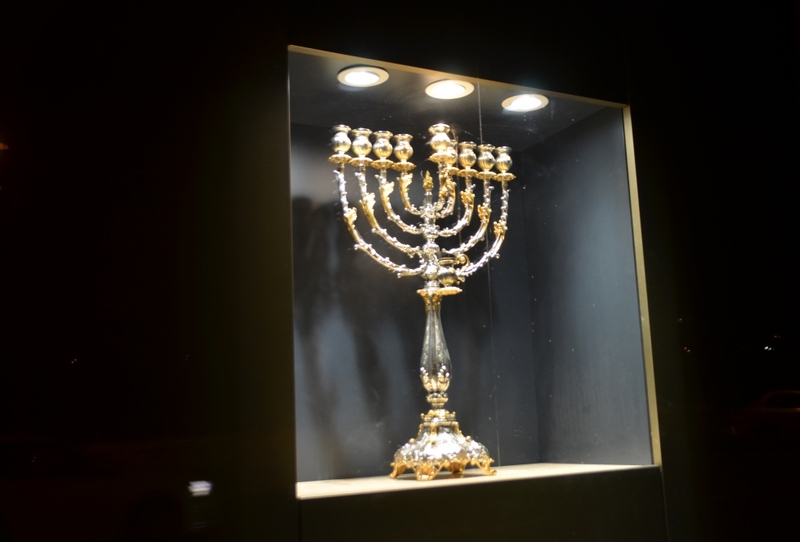 and a gold and silver hanukkia was on display in this window. 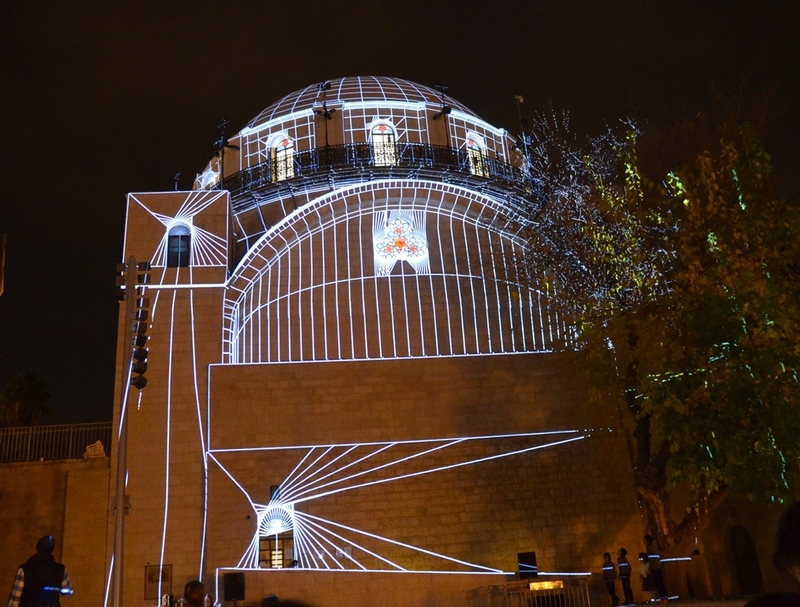 Electric hanuikkot are lining some busy Jerusalem intersections. 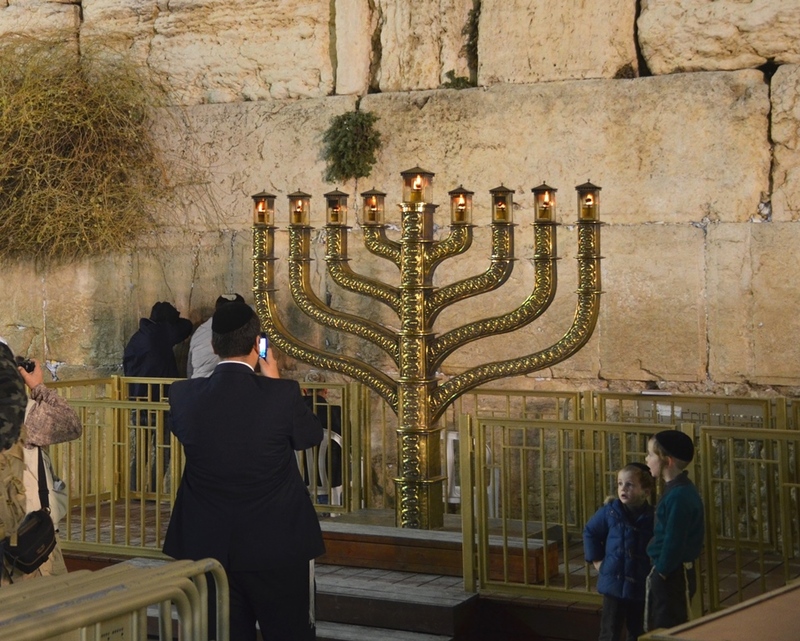 The hanukkia is up and ready for another year at the Kotel, Western Wall. 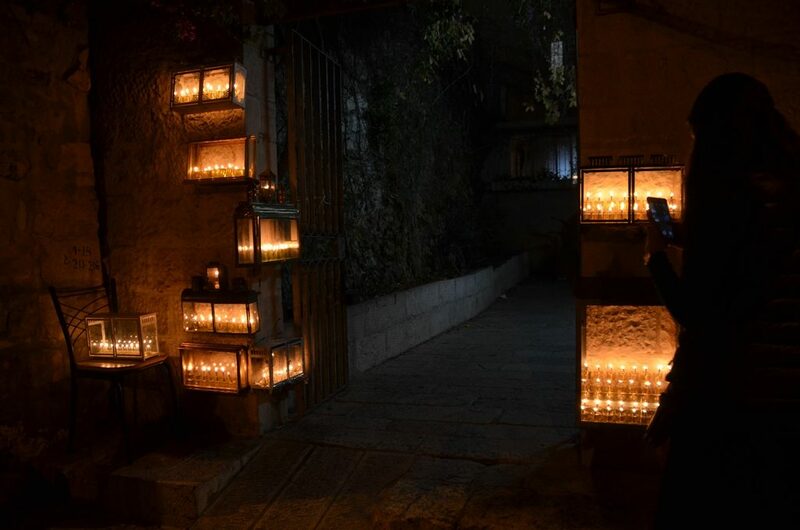 Hanukkah celebrations are planned for the week in various Jerusalem neighborhoods. 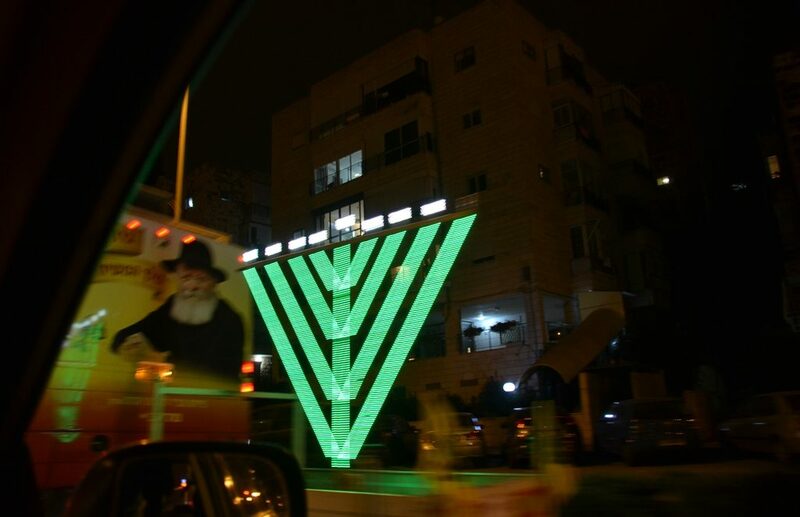 The Chabad hanukkiot have been placed on corners all around Jerusalem. 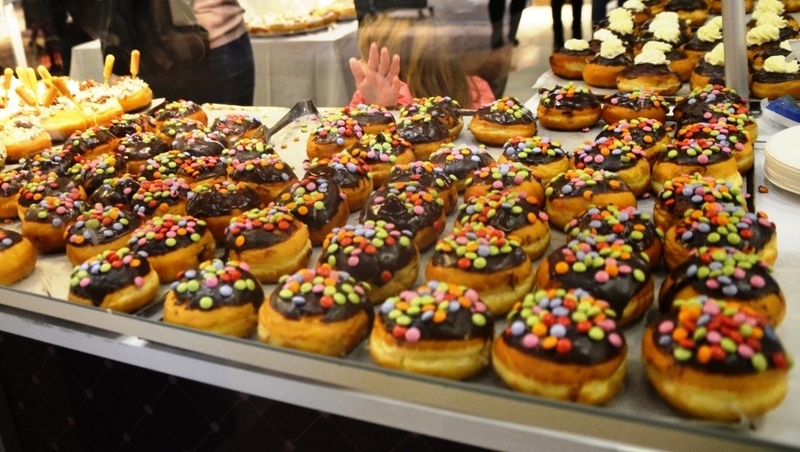 And donuts, almost everywhere suffganiot of all types can be found. 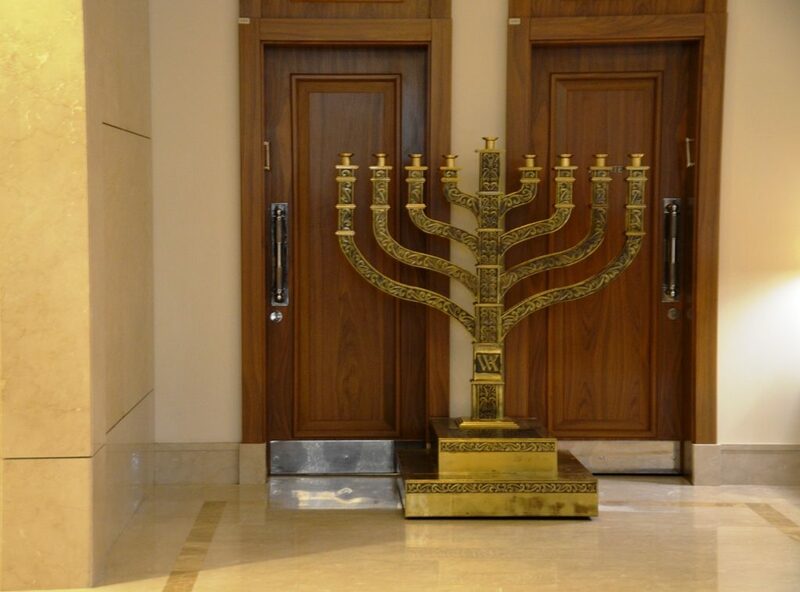 I am looking forward to something new this year for Hanukkah. 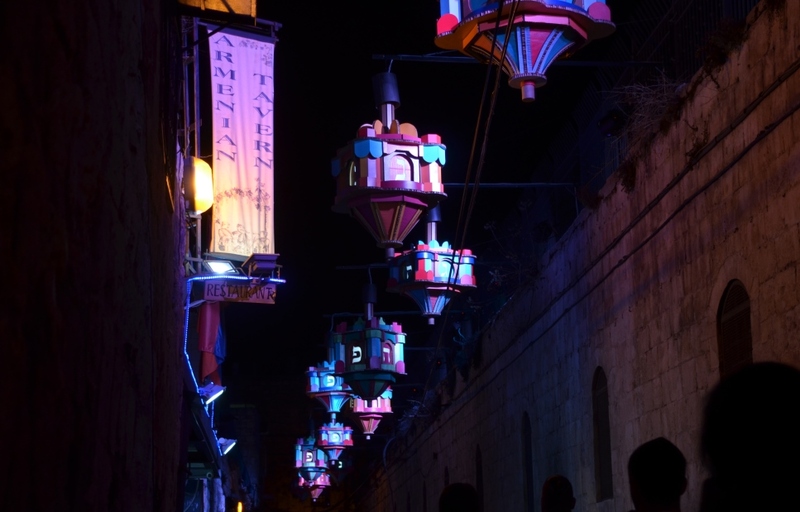 The Jerusalem Hanukkah Parade is to include 8 giant balloons like the Macy’s Thanksgiving Parade. Hard to imagine a Golden Dragon with over 200 people holding it as it proceeds down Jerusalem streets. That is a sight I want to see and share. And we had two weddings this week. 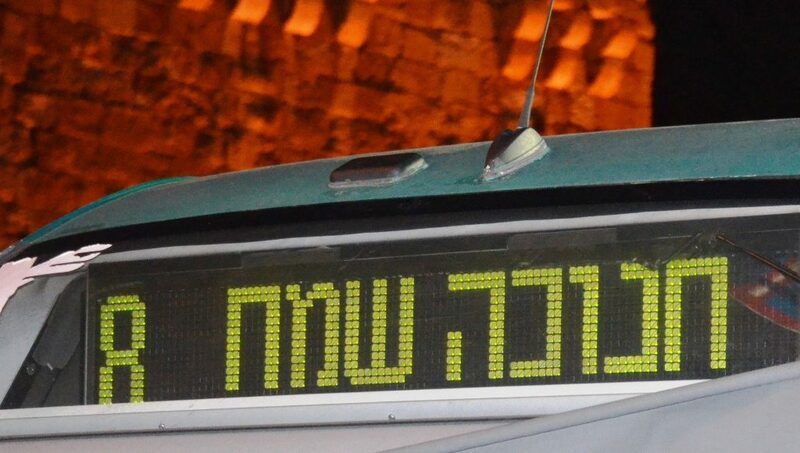 With all the good, the crazy, the busy, so much happening in Jerusalem. It is both easy and hard to write this post every year. in a new and unusual location. ready for the visit of US Vice-President Pence. and those extra flags were removed. Dozens of these blue signs remained. but I’m sorry, it went by so fast I missed the photo. involved lighting a personal hanukia at home. 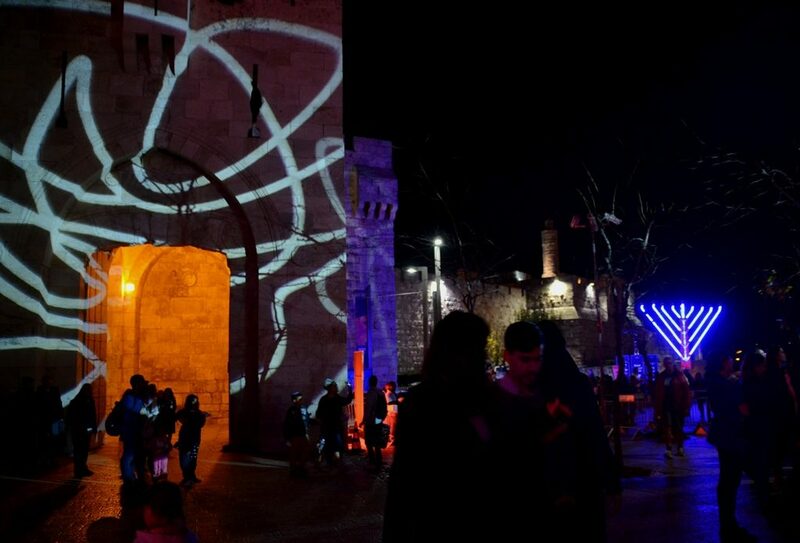 and special lights at Jaffa Gate. Spinning dreydels were a favorite new decoration. the narrow alleyways of the Old City. 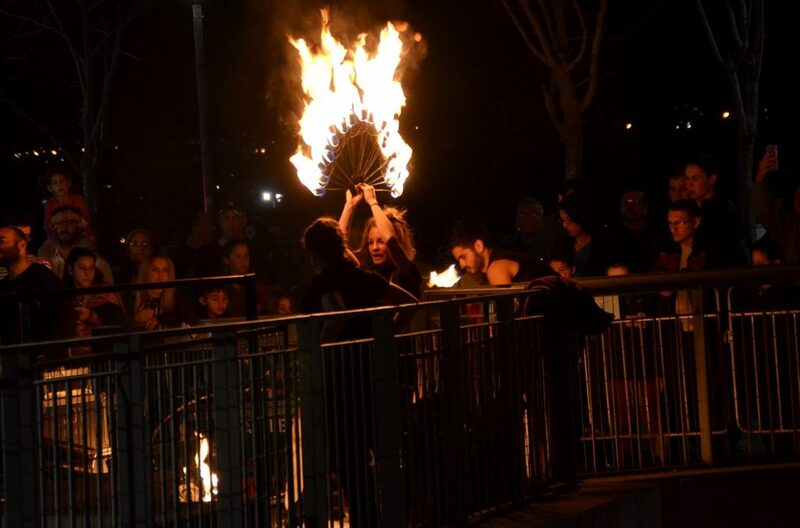 caused the crowds to slow to a standstill. 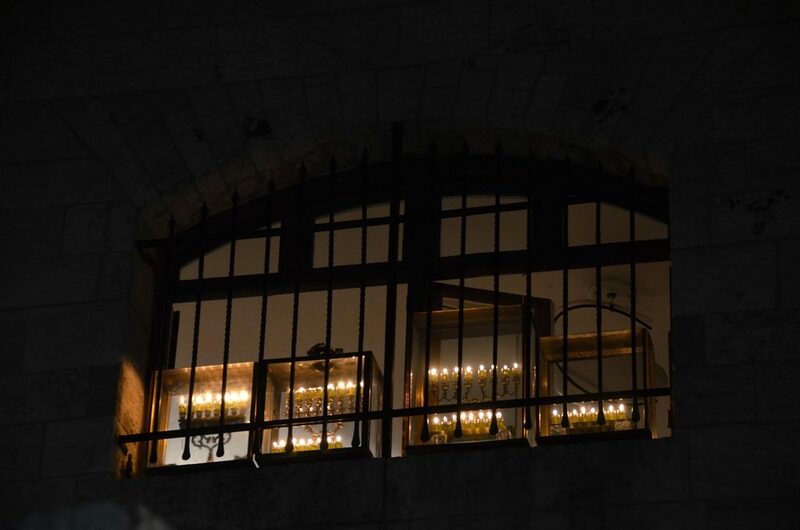 In the Jewish Quarter, the Hurva Synagogue was lit up. 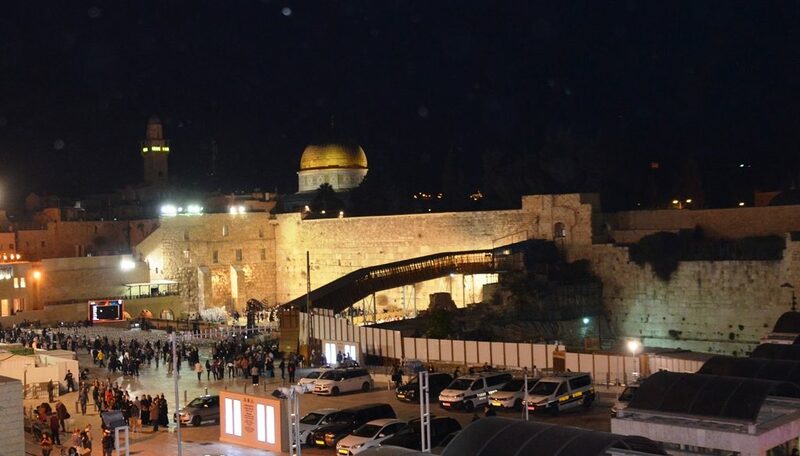 the Western Wall Plaza, during holidays. 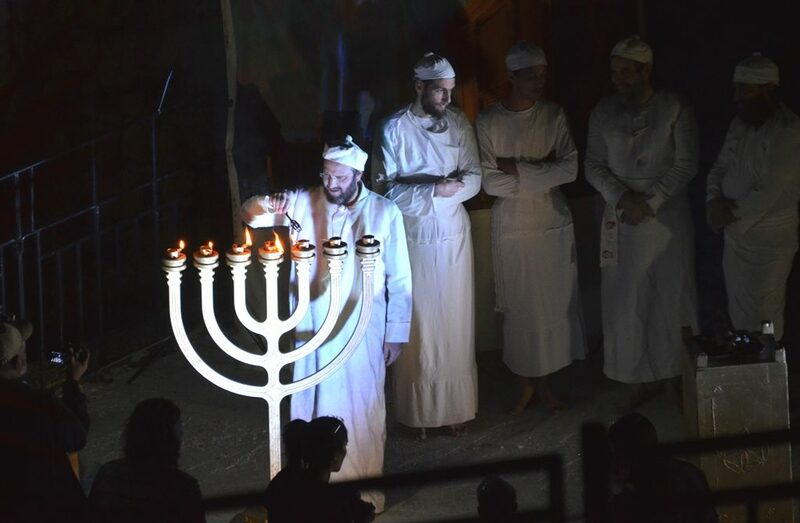 a re-enactment of the Jewish Temple priests lighting the Temple menorah. as cell phone cameras were in use by the thousands. 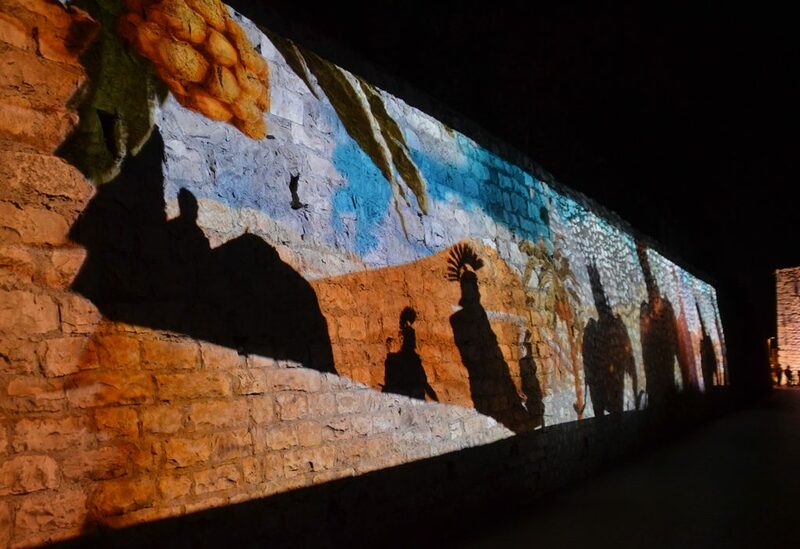 One wall had a projection of the Macabees in days of old. 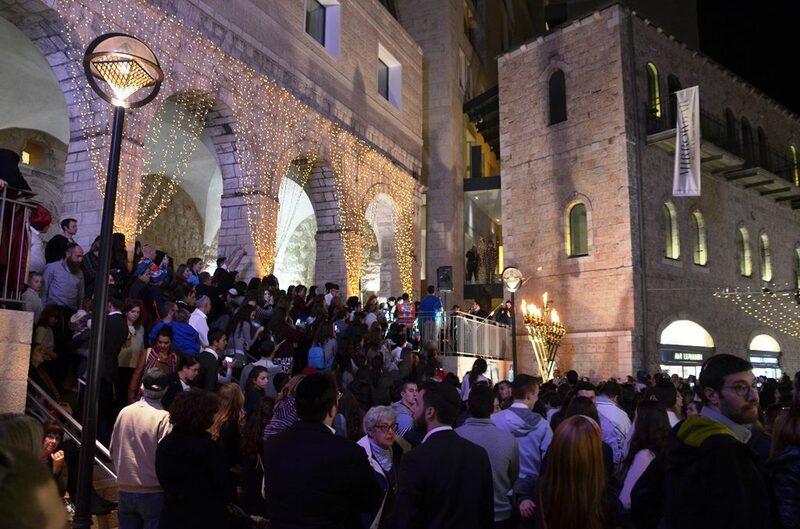 The crowds at Mamilla Mall for lighting were impressive. the recent warnings of danger did not affect enthusiasm. 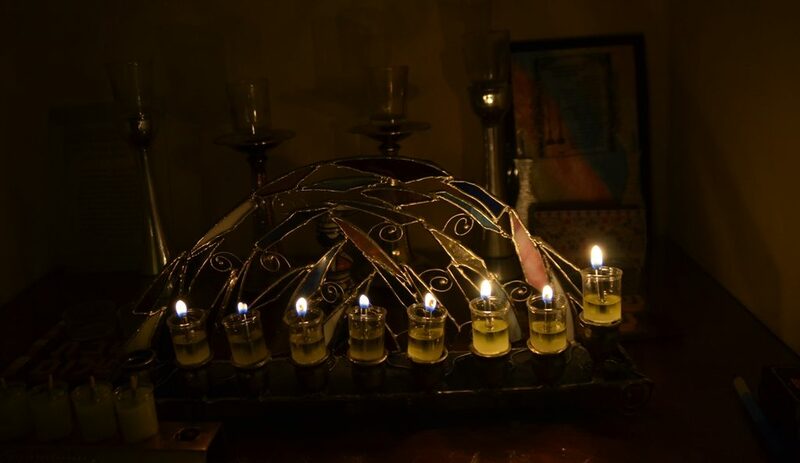 the last night of Hanukkah. Only the warm weather seemed out of the ordinary. they changed colors as the music blasted. out to main streets all around the world. there is more than candles and oil lights. and were consumed by the millions. See that little hand reaching for one more?